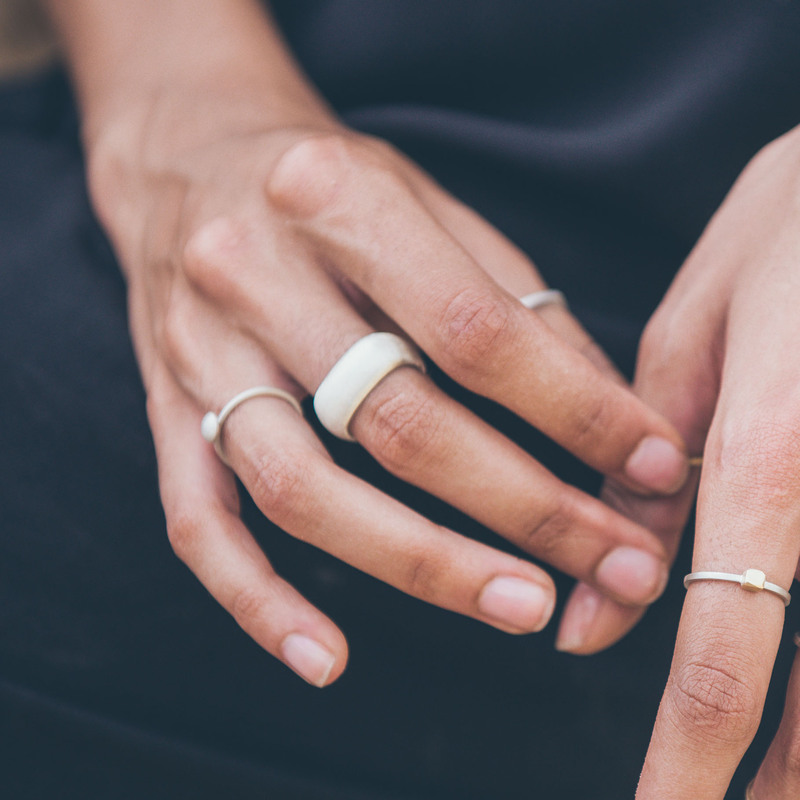 A 8.5mm wide rounded square band which measures 2.5mm thick at its widest point. 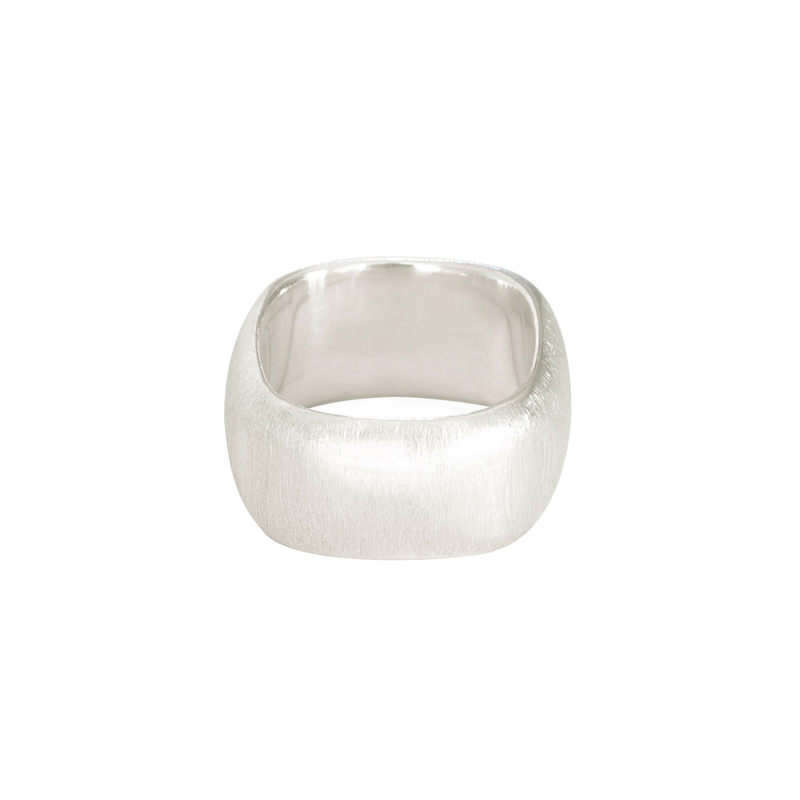 The shape and cushion-fit edges make this a remarkable comfortable ring. The smooth interior finish is complemented by a rough matte exterior. Perfect for both men and women. This ring is made to order so please allow up to ten days for manufacture. Notify me when Size J Squared Band is available.